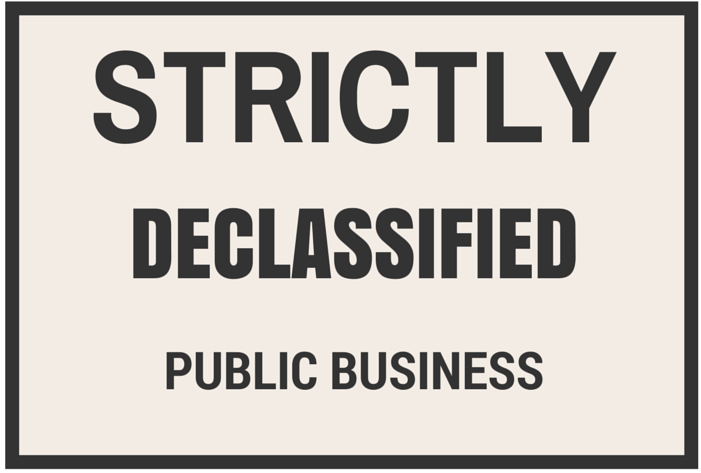 Myss Lafunky's Blog: Keep Your Business Private or Share Your Business? Keep Your Business Private or Share Your Business? Do you struggle to decide which information about you to share with others? And which information to keep secret? An incident occurred within a group that I belong to, almost everyone of us grumbled and anxiously said: "Please, don't share my private business with others" , "Oh no, I don't want other people to know my business" , "Please respect my private business" etc. I pondered on it and I wondered and asked myself why are we humans scared of people knowing our business? Could it be because the hearts of humans are desperately wicked as stated in the Bible? Or we don't know what the individual would do with the information that we have disclosed to them? Could it be fear? Are we fearful about what our information would be used for? How can we balance sharing our worries, letting people know our plans and at the same time keeping our business to ourselves? I have observed that Christians, in particular, prefer to boast about the things that they are doing right to others rather than their weaknesses. Could it be because we need to protect our good image to others and act as if we do not have any challenges that we go through? Should we be brave and share all our businesses with others? Or is there a time to share and a time not to share? 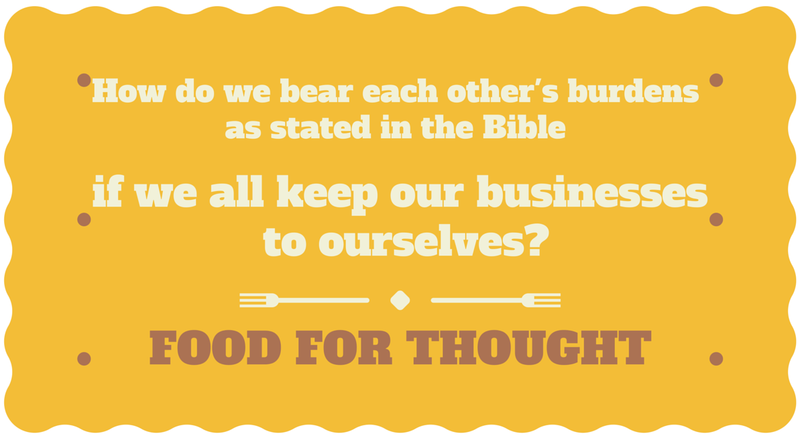 Should we all mind our businesses and just remember to pray for others during our quiet time with God? Although I can link keeping our private business to ourselves to the story of Elizabeth and Mary. When Elizabeth was pregnant, Angel Gabriel told Mary (Elizabeth's cousin) after about 6 months of Elizabeth's pregnancy. When Eizabeth found out that she was pregnant, she was not hasty to share the news of her pregnancy with Mary, it was the Angel of God that told Mary. This therefore suggests that, there's a time to share and a time to be quiet about things. Also, I am reminded of the story of Joseph in the Bible, who shared his dreams with his siblings. He told his siblings that they were going to bow down for him; his brothers used the information shared by Joseph against him. Get to know someone before you choose to share your private life with them unless it's an emergency. Let God be your first point of call. Don't wait for an issue to escalate before you seek counsel. Find a trusted person that you have observed their character through their way of life, through your personal conviction about the person, etc. If you choose to seek online support, it will be beneficial for you to seek face to face counsel as well. Remember that after you have shared your business, you can't guarantee that it will be kept secret. However, you can request for your information to be kept confidential. What would I do with the information? Do I really need the information? Am I ready to help, counsel and guide the person? Do you have any tips on how individuals can balance sharing their issues of life through seeking counsel or friends' views and at the same time how to keep their personal businesses to themselves? Also, where do you stand? Sometimes we tend to mis-judge the people who share our business with others. Some people tend to share other people's information when they get too excited or over joyed with good news. They find it difficult to keep good news to themselves so may hurt you unintentionally by sharing your business. Other people share your business to fill a void caused by loneliness. This category of people either do not have friends or do not know how to make friends. I think it is because of situations like this that the Bible cautions us not to be judgemental. We may just be misunderstanding the person's motive behind sharing our business. On the other hand, the listeners have a huge role to play. Listeners especially the christians ones should learn to say " I do not want to listen to gossip" whenever someone approaches them with such a discussion. In a case where we have listened, we should rebuke the gossiper in love. Thank you Linda Rose for your comment. You made some valid points. We should not allow our emotions to dictate disclosing other people's business but surely, we can share so that others can learn one or two things from it? That's a difficult one to practise- informing others not to share other people's privats business with one. We all need a revival about this. For me personally I think the decision on what information to share should be decided on the type of information and the impact such an information would have. When it comes to our personal lives, I think we should be putting things out there. Transparency as a Christian is very important. Otherwise we create an avenue for secrets to thrive. Especially when you're in a position of leadership it's important to be transparent because of those that look up to you. Myles Munroe said something when he came to my church; there is nothing like its my private business. It's not and we shouldn't be deceived into thinking so. Also we are instructed to live our lives for others, if you keep your business private, how would you be able to live that part for others? People will always gossip or misuse your information but it shouldn't be a reason to deny such privilege to those who mean well and would love to be in your shoes or meet you for advice based on your experience. Thank you for comment Sola. You made some valid points. Transparency for believers is crucial as of when necessary. I also like how you wrote that the individual in question should decide what information to share and the type of information to share and with whom. A Pastor once said that we should guard our stronghold. He linked it to Judges 16:6, the story of Samson and Delilah, how Delilah was seductive and how she did not hide her mission from Samson. The Pastor said that Satan is always seeking to find out the source of our strength; the things that fire us up in God; whether through our regular prayers, spiritual gifts, evangelism, fasting, evangelism, giving, etc. It is believed that Christians need to guard their secret place from enticing and prying Delilah partners who mean to afflict. I guess it is also about allowing God to lead one before we open to someone. I totally agree with your point on information shared should be decided on by the type of information and the impact such information would have but I think transparency & openess should not be mistaken for honesty & integrity. Jesus sometimes hid himself & at other times, He told people who He had healed not to spill the beans & for me, He is the perfect example. I do agree that if some issues were discussed more, we will have less hypocrisy in the body of Christ & also people in the position of leadership should be accountable but telling & showing every single detail for all to see just sends alarm bells ringing in my head as I think not everyone would be mature enough to deal with the information. I think that is why in some churches, certain information is only shared during pastorial retreats or workers meetings and even at that it still goes belly up. Purpose & Effect are the key words for me. Why are you sharing & what do you hope to achieve. I am all for helping others out with advice based on my personal life but I do this with discretion. There are some topics that are off-limit to the general public but okay to share with acquaintances or friends and then there are some topics that are off-limits to everyone. One tip that I can share is parables. I dont know why people in our time dont use these effectively. Its a profound way of sharing information without totally giving yourself away. I did read somewhere that it could be tantamount to lying but to me that's hogwash, if it was good enough for Jesus, it is good enough for me. And if all else fails, there is always the option to send messages anonymously. And if all else fails, sending messages anonymously is always an option.